Pandemic: Legacy Preview! If you like making irreversible decisions that might destroy the whole world, then you should be thinking about picking up a copy of Pandemic: Legacy. Using the core mechanics of both Pandemic and Risk: Legacy, this game drops players into 'one of the worst years in human history'. Think World War Z, think Contagion, think the growing epidemic that was Gangnam Style. This is truly a revolting time. It's up to you, the players, to save humanity. Except nothing can be undone. No game can be forgotten. No action can be reversed. The world is plummeting into oblivion, and I never got round to finishing Lost! Pandemic: Legacy features brand new ideas and mechanics - like the charts next to every city's name. These go from 1-5 and you're meant to mark them each time an outbreak occurs. 1 indicates public unrest and uneasiness in that city; 2 means that people are beginning to riot against the medical workers, and the higher you go, the more devastation occurs. Players will also take on characters that you can give names to - please, no Seymour Butts. Keep it classy, people! These characters can form relationships with other characters and are granted things like scars. Scars mark how much damage you've seen - collect three and you're dead and out of the game forever. We reckon Pandemic: Legacy could be a game-changer (excuse the pun), and it already looks fantastic! But where did I find all the information above? A few months ago, W. Eric Martin wrote a great write-up of the game, sharing its awesomeness on BoardGameGeek. More recently than that, the publisher Z-Man Games released this video (below) as a teaser trailer. That heartbeat, man! AHHHH! To pre-order Pandemic: Legacy, drop us an email at games@rulesofplay.co.uk! At War With Waistlines. People like to say Britain has a growing obesity epidemic. I prefer to call it a fondness for Greggs, but you can't always agree. In response to our expanding elastic and ballooning bodies, Focus Games, in conjunction with the NHS, has created the 'Food, Mood and Health Game'. 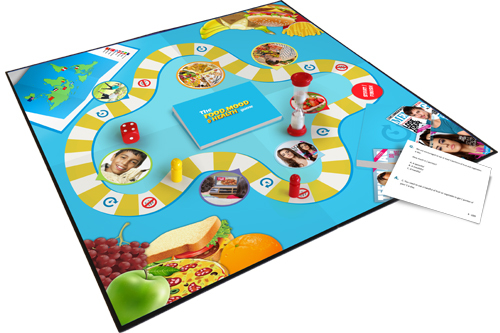 Designed to teach children (and adults, I guess) about the dangers of frosted icing and using a mechanical grabber to pick up the remote, the board game promises 'to stimulate discussion and debate...developing valuable insights into how food affects physical, mental and emotional wellbeing'. Questions might include things like, 'If you haven't eaten all day, how might you feel?'. The answer to which is, 'Like I want to rip somebody's head off and kick you in the shins for asking stupid questions'. 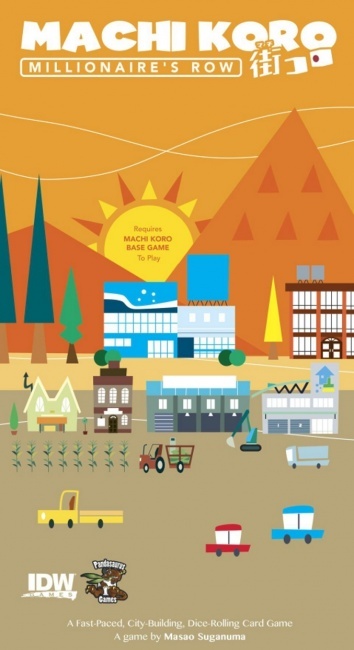 Does this sound like the right board game for you?! If you were in doubt, maybe the £100 price tag will change your mind. Yep, you read that correctly. You'd have to shell out £100 (that's around 84 original glazed Krispy Kreme doughnuts, by the way) for a game that tells you what a quick Google search could tell you for free. PRE-ORDERS ARE NOT BEING TAKEN, EVER! What's the Worst Board Game You've Ever Played? Either The Guardian likes board games or this is some huge data experiment we're all falling for. Last week, we shared the results of their poll to find the BEST board game we've ever played. Carcassonne, Game of Thrones, Dead of Winter and more were all popular answers. Now, The Guardian wants to know about your WORST board games! We asked our Facebook community about their least favourite games - Monopoly was a clear favourite for the worst, along with Catan, Munchkin, Pandemic, Twilight Imperium and more. Keep spreading the hate, people! Job Openings @ Rules of Play! 1. Do you have a knack for sales and a passion for board games? Rules of Play are looking for a part-time sales assistant to work in the shop. Hours include (but ain't limited to) occasional shifts, weekends and would increase towards Christmas. If this sounds like something cool (it is, take it from me! ), then drop into the store with your CV and have a chat with Ian. 2. Are you passionate about Pokémon? Devoted to Dicemasters? We're looking for our very own organised play ambassador! This would include running our in-store events, spreading interest and getting people excited about CCGs, TCGs and everything in between! Again, if you're interested, pop into the store for a chat with Ian. Game Of The Week - Tsuro. Legend has it that a 10th Anniversary Edition of Tsuro is due to be released later this year. The elders say it features a silkscreened raw silk board, dragon and phoenix miniatures, an embroidered tile bag made from silk and it'll come, according to the prophecy, in an engraved wooden box. Sorry - let me just wipe up my drool. 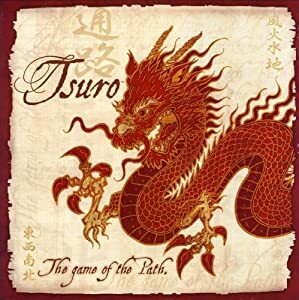 In case you're shrugging and wondering what Tsuro is, it's a board game that features a little strategy and a lot of running away (in my case). Players will place tiles onto a board. Each tile features four randomised lines from one edge to another, meaning every single tile in Tsuro will match up and fit next to each other somehow. The aim is to create a path for your dragon marker to wander across the board and stay on it. The last person on the board is the winner, but avoiding other dragons and the edges of the board is tricker than it looks. You have to be able to think ahead - if your opponent plays a certain tile in three turns' time, will you end up off the board? Is it better to stay towards the edges, or should you stand your ground near the middle? The way I see it, Tsuro players fall into two categories; the chasers and the runners. I am most certainly a runner! To watch it played on TableTop, click here. #BoardGameBar! Look, as the official marketing whizz for Rules of Play, I'm legally contracted to use hashtags. Or I'm lying and I just like to feel young. Either way, why not pop along to this Monday's Board Game Bar? Perhaps you're back at work after a holiday - maybe you're preparing to start another term at university. Whatever the case, you're gonna need some fun and alcohol. Come to Urban Tap House on Monday, 5-10pm, £3 entry! Magic the Gathering - Battle for Zendikar! On Saturday 26th and Sunday 27th September, we're hosting the newest MTG pre-release weekend, for Battle for Zendikar! If you're brand new to Magic or an old hand, you'll be able to able to play with brand new cards a week before general release. Pop into the store or email us at games@rulesofplay.co.uk to reserve your space - they fill up quickly! New Releases Coming Next Week! Codenames, the darling of Gen Con and the brand new party game where players figure out the identities of two hidden spies, will be sneaking into store! ; Magic the Gathering - the board game will be here! ; thrills and sci-fi spills with the Legendary Encounters - Predator Deck Building Game; Munchkin Steampunk Deluxe; Jarl the Vikings Tile Laying Game; Clockwork Wars; Firefly Shiny Dice Game; Le Havre - The Inland Port; Shadowrun - Chrome Flesh RPG; Shadowrun - Chrome Flesh Limited Edition; Cthulhu Britannica - London box set; The Curse of Nineveh RPG; The Journal of Neve Selcibuc RPG; and Eclipse Phase Fire Wall RPG! New Releases Available Now - Start counting your big bucks with Machi Koro Millionaire's Row; we'll fight them on the beaches in Churchill; Empires - Age of Discovery deluxe edition; Valley of the Kings - Afterlife; and RuneQuest RPG 6th Edition! Arriving Soon - 1 new standalone Pandemic game with the hotly anticipated Pandemic: Legacy; Flea Market, where finding bargains is now a skill to be judged on (woohoo! ); some thrills and sci-fi spills with Legendary Encounters - Predator Deck Building Game; for our complete bunch of pre-order games, check out our 'Coming Soon' collection! PRE-ORDERS FOR ALL THESE BEING TAKEN NOW!